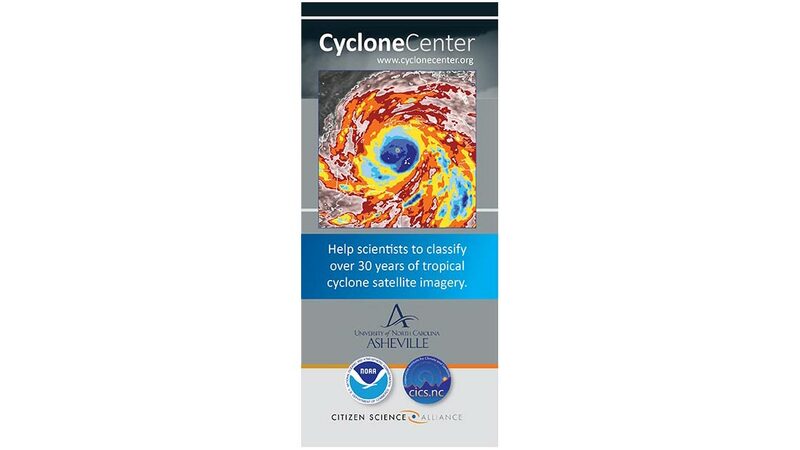 Asheville, North Carolina – Working with over 4,000 citizen scientists from all over the world, the Cooperative Institute for Climate and Satellites – North Carolina (CICS-NC) announces the launch of the new version of CycloneCenter.org for an even more enriching experience! Volunteers can pick their favorite storm to classify and follow it through its entire lifecycle. The new website provides more guidance to volunteers during the classification process. Each week, volunteers will have a different storm from the record-breaking 2005 hurricane season, starting with Arlene, going through Katrina, Rita, Wilma and eventually Zeta. Volunteers can now share their storm on Facebook and Twitter and invite their social communities to participate! CycloneCenter.org was developed as a partnership with the Citizen Science Alliance, the Cooperative Institute for Climate and Satellites, NOAA National Centers for Environmental Information and the University of North Carolina in Asheville. Please join us and connect to CycloneCenter.org to start your journey with the science of cyclones!